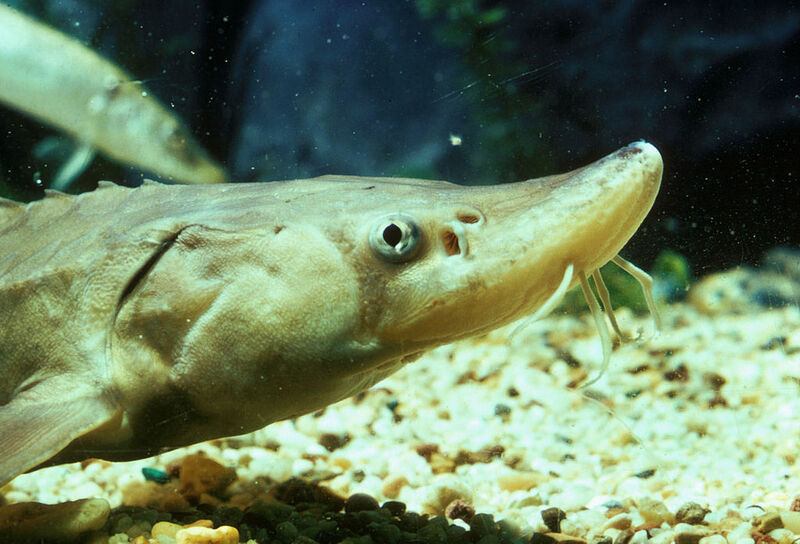 (CN) – The ancient lake sturgeon should be listed as endangered or threatened, a conservation group said in a petition filed Monday with the U.S. Fish and Wildlife Service. The lake sturgeon is found in the Great Lakes and a number of rivers throughout the Midwest. The prehistoric-looking fish has not evolved much over the past 200 million years. Individual sturgeons can live up to 100 years old, weigh up to 300 pounds, and can be more than 8 feet long. Its population, however, has declined by nearly 99 percent. In the late 1800s, there were an estimated 15 million sturgeon in the Great Lakes alone. But since then, a number of factors have led to the species’ dramatic decline, including overfishing, dam construction, logging and climate change. The Center for Biological Diversity on Monday filed a petition with the federal government asking that the lake sturgeon be listed as either endangered or threatened. Because the fish have specialized habitat preferences, and don’t often reproduce until well into adulthood, recovery of the species may be delayed without federal protection, the conservation group said. “Lake sturgeon abundance is now reduced to less than 1 percent of historic levels in their native range, with most of the remaining spawning populations showing little or only limited signs of natural recovery,” the group said in the petition. “The loss of our lake sturgeon has been much like the slaughter of the buffalo. We can barely imagine how abundant these great fish once were,” Fink said in a statement. The group says certain segments of the population need more protection than others. The sturgeon populations in some of the Great Lakes are not as threatened as those in the lower Mississippi River and Lake Superior, for instance. All lake sturgeon in the U.S. should be listed as threatened, or Fish and Wildlife should identify and list distinct population segments, the group said. The government should also designate critical habitat in the areas where the sturgeon spawn and raise their young, as well as areas where they spend the winter, migration routes, and major feeding locations, according to the group.